Hey Guys, Airtel Free Internet offer is going more amazing now. Bharti Airtel include samsung Galaxy J series smartphone in Airtel Handset offer which means All Samsung J series devices are eligible for Free internet offer and Most Interesting Thing this offer is for every airtel prepaid user means new and old numbers also. So What You Get..? Yes absolutely question you thinking so here it is You get 10 GB 4G Data for 3 Months which Include 1 GB 4G Regular DATA + 9 GB 4G Night Data for 90 days.For Getting this data you have To pay or recharge minimum 1 Gb data price and you Get 10 GB data . So Guys Why Airtel Offering Free Internet data offers so regularly the obvious Reason Behind is Jio 4G as You know Reliance Jio 4G is almost public now Means if you have 4G Handset you can Go and Get Free 4G Sim with 3 months unlimited data unlimited call and sms .So you see How tough is the competition Here So it is Golden period for customers to enjoy almost free data services in this price war.In This war i Hope other networks are also Going to offer Free Internet Offer to its customer So wait till and Now focus on our Topic. 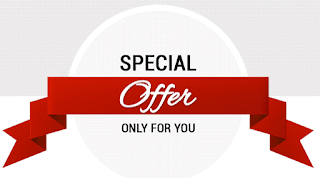 So How You get this Offer It is Very Simple ,Just Follow our step By step Procedure To get This offer and at last you see 10 Gb internet data SMS in Your Mobile. First Put Airtel Sim any samsung j series Phone. Now On Your Airtel Data Connection only do't use WIFI bcz if you do You do't get this offer . As you open offer page You See offer page. Now Click Activate Now to claim this offer. As You see Activation Successful message now You all set To get this offer. Now Do any 1 GB 3G/4G Data Pack Recharge to your number. As You do your Recharge you Get Instant 1 Gb 3G/4G data + 9 GB Night 4G Data for 90 days. Bingo ! You can check Your Data pack by dialing *129*08# . Offer is applicable for Airtel prepaid customers only. Offer once activated cannot be reversed or re-claimed. Offer applicable for 1 Gb 4G Recharge Only. To check airtel Recharge Plans check handset offer page. This offer is handset specific. Offer benefits will be available only on this handset. The extra 9 GB data can use at night 10 AM To 6 Am Only.